Well, a tad late with this one aren’t I? I have no idea where September went. 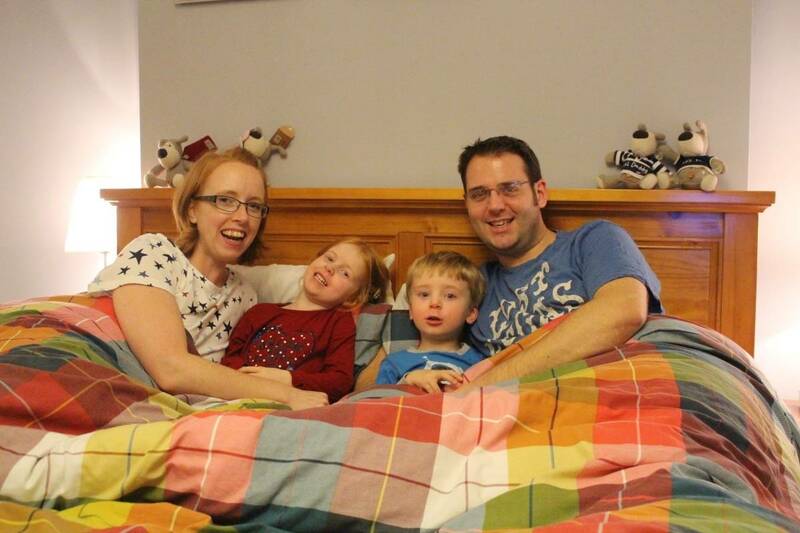 With LP going back to school, Little Man starting preschool and both Hubby and I working a lot the month went by in a blur – hence why I’ve needed six weeks to actually take a photo – with three out of four of us in our PJs! It got to the point where I just had to take a photo – so I did. Otherwise it would be the October Me & Mine and I would hate to miss a month of this project after taking part for so long. I am really finding it tough having both children at school during the week. Although Little Man is only there for three hours a day it feels like our life is worked around school runs and that there is so little time to do anything when they’re both at home – plus, at the moment, I work every Saturday which doesn’t help but that’s all set to change next month. So, September has been a busy one – with Blog On in the middle – and all our extension plans full steam ahead. I’m actually really enjoying October and I’ll be happy when our plans start to become a reality. Well, there you have it, a very belated September photo, taken in October! 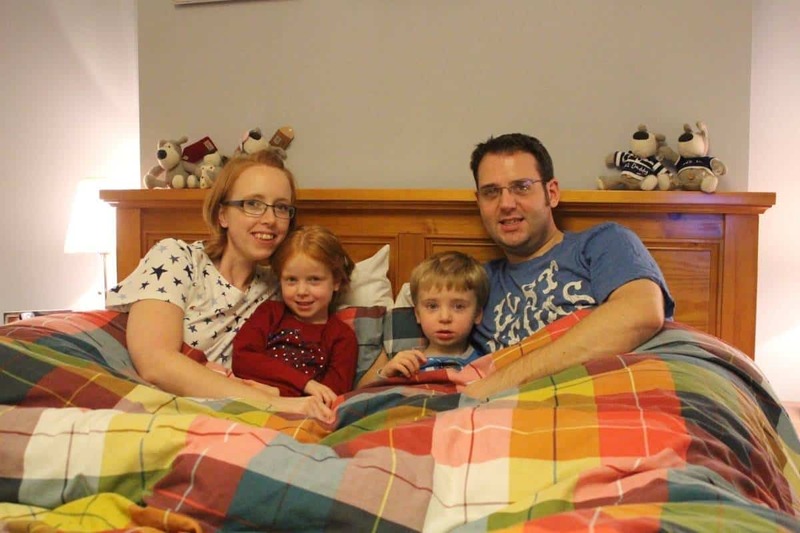 I love the fact that your house is tidy enough to take a photo of you in bed. This would just never happen in our house, too much clutter!